"The Well Kids Program is without a doubt the single most valuable investment I have made in our practice & our community in the last 10 years. No family practice should be without it"
Here at Well Kids we believe that chiropractic care is central to the transformation and improvement of the quality of life & future health of children around the world. Yet many families only use chiropractic care for a short term without truly understanding the essential need of a happy, healthy well-connected nervous system throughout life. 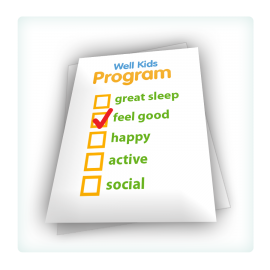 The Well Kids Program is designed for chiropractors to navigate families from symptom focused concerns to long-term proactive chiropractic care simply & proactively. The program brings every element of the chiropractic experience together in a seamless program including chiropractic software and practice paperwork. 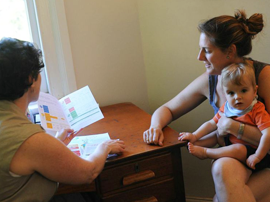 Educating families & engaging them in care at a deeper level has never been so easy. Be part of the upbringing of children who love and want to be involved in health by integrating the Well Kids Program into your office. Examinations, Reports and Care Plans have never been so organised, simple & rewarding for all involved. Feel the freedom that the Well Kids Program brings you in practice, provide consistent ongoing chiropractic care, manage your practice & have long lasting impact on the health of every child you work with. This unique premium Australian-made program with purpose built chiropractic software has been supporting chiropractors to change the lives of young people around the globe. Check out what your colleagues think about the Well Kids Program. View Our Chiropractic Software Success Stories! TRANSFORM YOUR PRACTICE INTO A HUB FOR FAMILY CHIROPRACTIC CARE. The Well Kids Program is an online paediatric care management program that facilitates chiropractors to demonstrate the long-term functional benefits of chiropractic care for kids while delivering exceptional care that celebrates the brilliance of the human potential. Join Well Kids and discover the benefits of an efficient, modern practice. Whether you see hundreds of kids or you are finding your feet in practice, improve how you deliver and track the care you provide. Regardless of your experience you will see amazing results with the Well Kids Program & its chiropractic management software. Well Kids is by far the best investment for the children you take care of and for your practice! 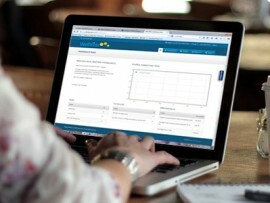 View Pricing for our Chiropractic Management System & JOIN NOW! Save time with our online forms, paperwork and automatic follow-up systems to ensure you have the paperwork you need BEFORE each special appointment. Implement our proven strategic steps and procedures to ensure you deliver an exceptional experience to every family, every time. No need to wonder how much improvement a child has made under your care, you now have all the data you need to keep every child on track. The Well Kids Program tracks how well a child is going under chiropractic care so you can easily better manage their needs, modify or add to the recommended care plan. Once logged into the Well Kids Program online dashboard, you can see your practice's statistics. Listed is the total number of children under care, at what stage of care they are up to & where families drop out of care. Know your stats, manage your practice and be in control of your success and growth. Enjoy our automated system including online web-based Forms and Questionnaires parents can complete at home for efficient time saving procedures. 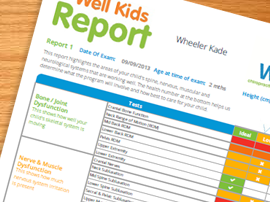 The Well Kids Exam & QOL Questionnaires ensure you are accurately documenting a child's journey under chiropractic care. Watch for changes, patterns and evidence of functional improvement. Excellent communication tools for parents. Produce Care Plans that work towards health goals. Easily provide a program of care including adjustments, home care, exercises & nutritional advice. This makes booking adjustments and Progress Exams simple. Deliver More. Save Time. Get Results. 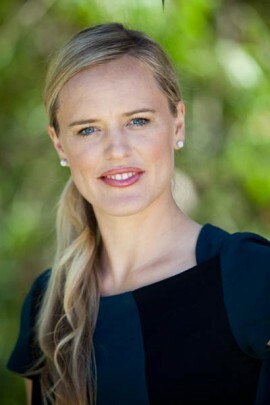 Hi, I am Dr Jacey Pryjma, founder of the Well Kids Program. As a chiropractor with a passion for working with kids, I want to provide the most exceptional care possible for the children I care for. To me, this means effective, consistent clinical management, well thought out procedures and of course premium level education and documentation of the results kids make under care. As a relatively new chiropractor, I wanted to learn everything there was the know about caring for children in practice. In 2009 I went looking for products and services to use in practice and found there was very little available for the family focused chiropractor to get these kinds of results in paediatric care management. This lead me on a 3 year path of discovery and learning to fill the gaps and develop something results based and engaging. Fast-forward 4 years, the Well Kids Program was released in 2013 and has become the go-to program for chiropractors around the globe. Finally, a streamlined fully integrated program for chiropractors designed to help families get most out of their chiropractic care long-term. A program that suits any type of chiropractic technique, practice size or pace. During my research it was very obvious families are looking for a chiropractor who is up to date, modern, consistent and one who delivers exceptional care that improves health long-term. Working closely with some of Australia's best family chiropractors the Well Kids Program was developed to be the step-by-step system that engages families in their child's chiropractic care and supports them to transition from symptom based care to wellness care easily. 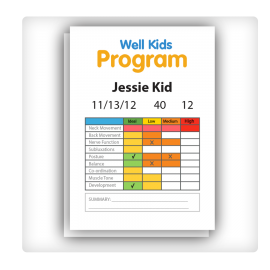 Whether you are an Associate or Practice Owner, if you see kids in practice and want to provide up-to-date chiropractic care I encourage you to join the Well Kids family and purchase the Well Kids Program. Its one purchase that changes everything! Ready to start? 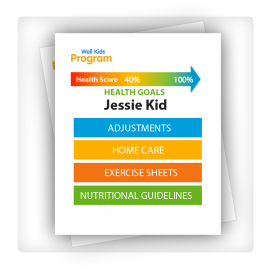 Simply click here to choose a plan and learn how simple it is to get started with Well Kids Program. Each feature created to make working with kids easier and more rewarding for all involved.